Product prices and availability are accurate as of 2019-04-22 15:58:27 UTC and are subject to change. Any price and availability information displayed on http://www.amazon.co.uk/ at the time of purchase will apply to the purchase of this product. Landing Gear Protective Frame Holder For DJI SPARK Drone-Black Protects the camera and gimbal from crash damaged. 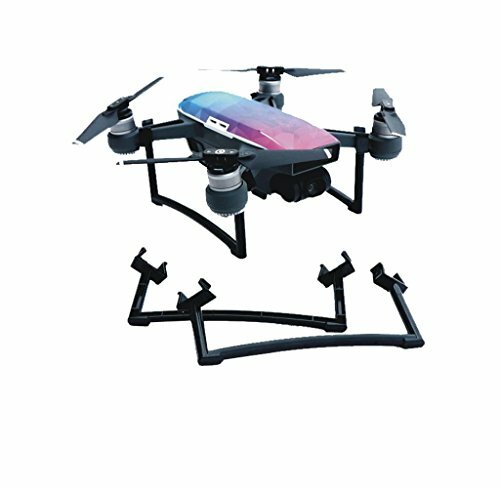 Designed for DJI Spark Drone. High quality and durabe. Lightweight, portable, easy to carry and install, to protect your SPARK camera perfectly.